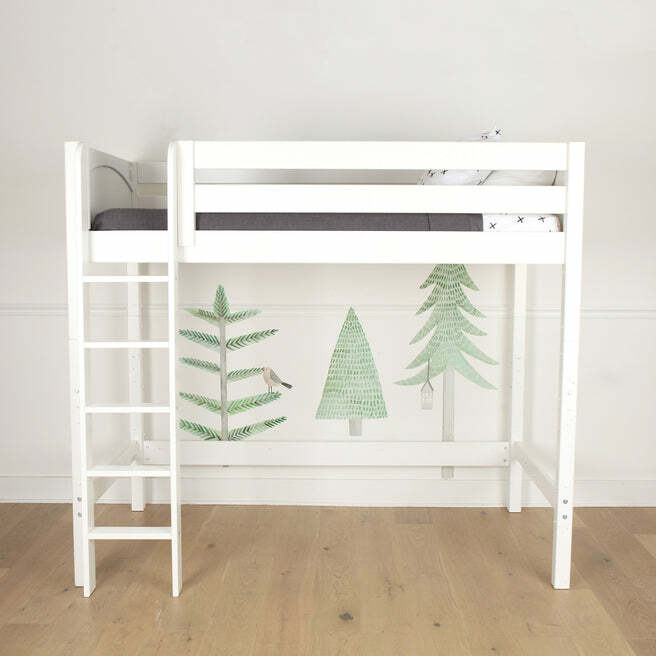 Maximize floor space and accommodate the needs of growing children with the best-selling ‘Jibjab’ high loft bed. 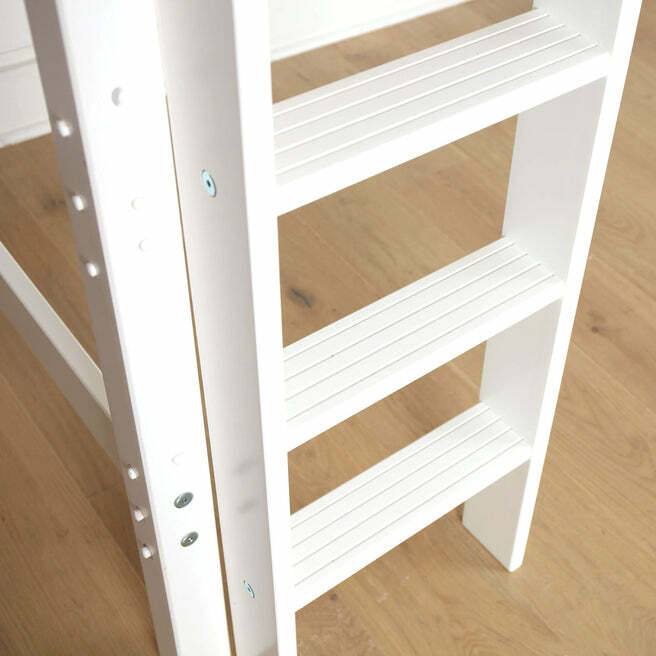 Over 4 ft of underbed clearance, perfect for a desk, storage or play space. Its our traditional bed raised to new heights! 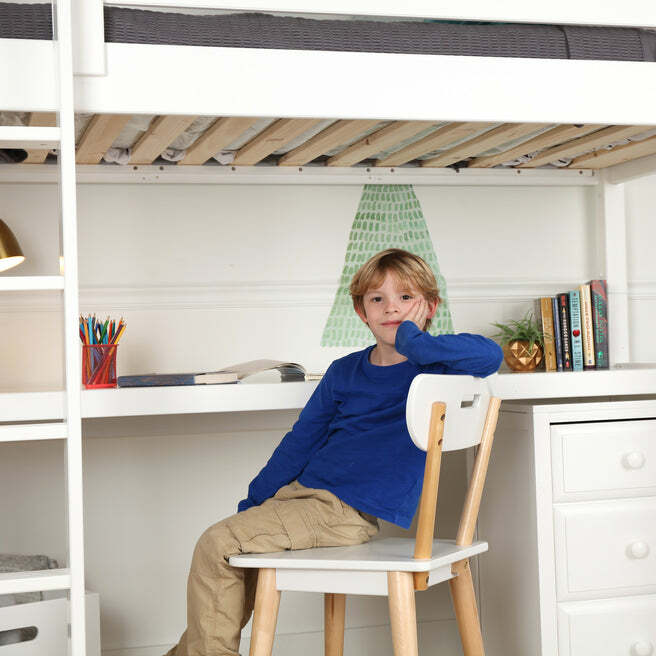 Tall loft bed = more floor space. 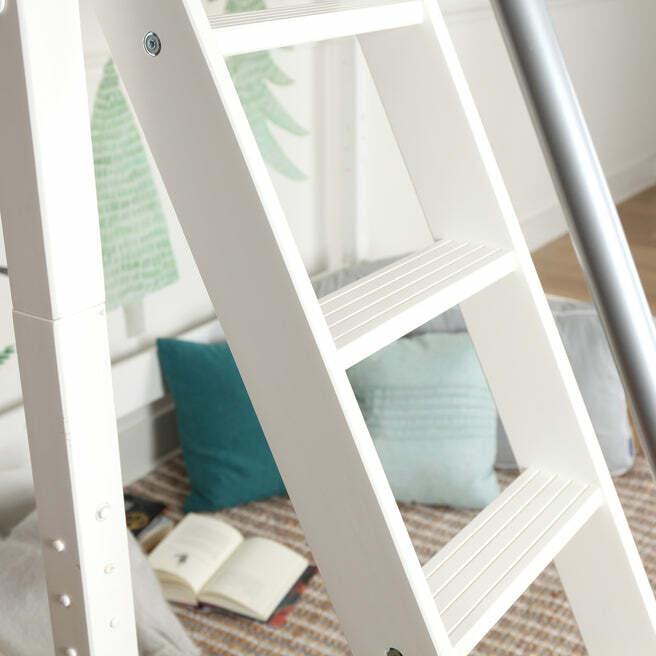 If ceiling height is not an issue, take your bed up with the Maxtrix ‘Jibjab’ high loft. 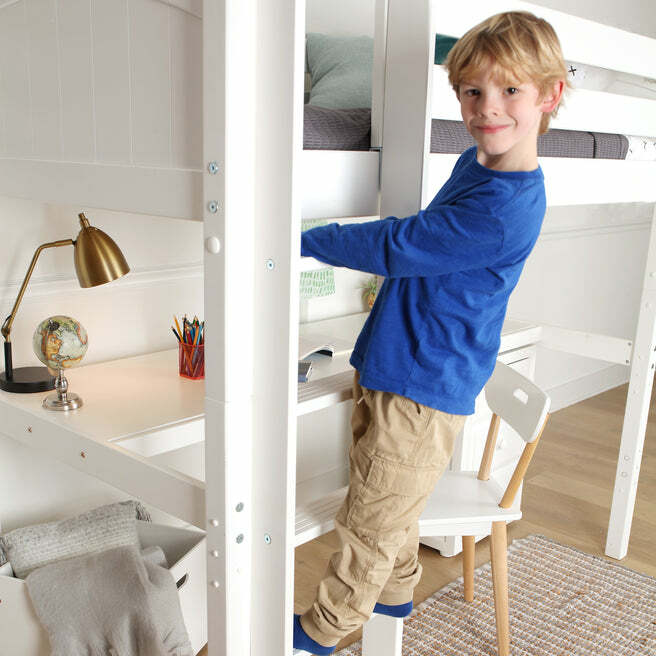 Underbed height measures 52.5”, great for older or taller children and perfectly suited to fit desk or storage. 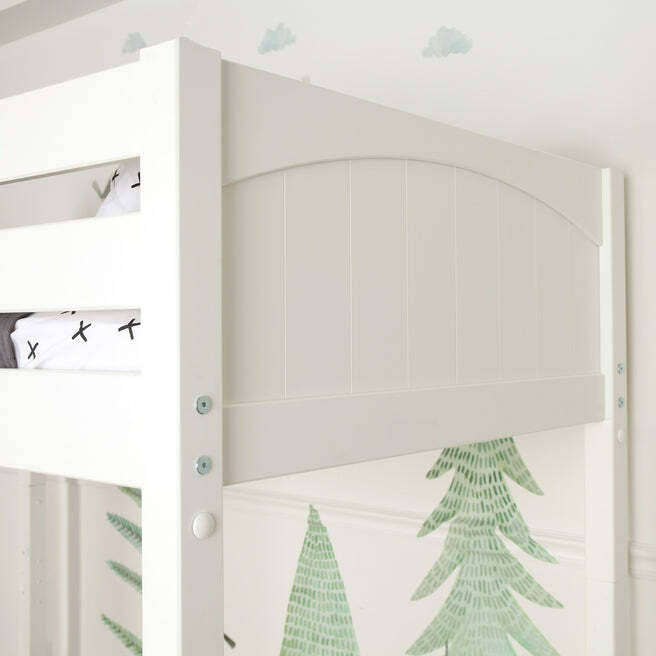 This style can see your child through to college, and still converts easily back to a basic twin bed, or repurpose for younger siblings. Straight Ladder on Front Option: L: 80" x D: 46.5" x H: 71"
Angled Ladder on Front Option: L: 80" x D: 77" x H: 71"
Straight Ladder on End Option: L: 84" x D: 42.5" x H: 71"
Angled Ladder on End Option: L: 114.5" x D: 57.5" x H: 71"